Get one of our great new anti-racist t-shirts! Get our new high quality anti racist, anti fascist, trade unionist T-shirts! Are you a proud anti-racist, anti fascist trade unionist? We are here at Lambeth UNISON. We have been mobilising to stand up to the far right on recent protests and challenging the institutional racism at Lambeth Council. 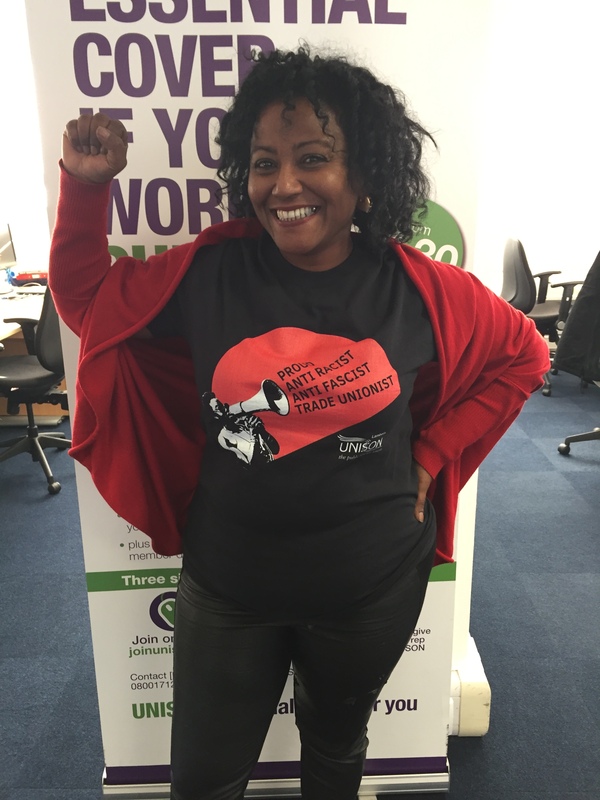 At our Black History Month event (which the excellent Akala spoke at alongside many other great speakers) we launched a new T-shirt to help raise some much needed cash for our campaigning work. If you would like to get your hands on a stylish black T-shirt they cost £10 plus £2.50 for postage and packaging.